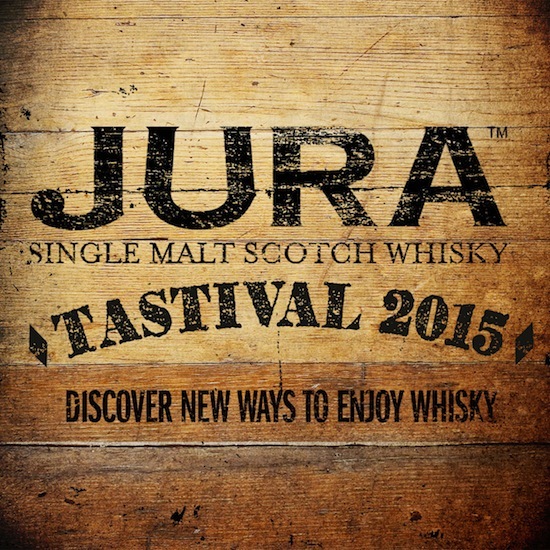 Dram-packed schedule announced for Jura Tastival 2015! Tickets are now on sale for Jura’s annual whisky festival, Tastival, a two day island celebration for whisky lovers on 27 & 28 May 2015. A packed schedule of tastings and tours has been announced for Jura Tastival 2015, inviting whisky fans from across the globe to discover the unique flavours of Jura as part of the annual Feis Ile festival. A variety of sensory experiences in whisky, food and craft beer, will open the mind and palate of attendees, offering them new and exciting ways to enjoy a dram. 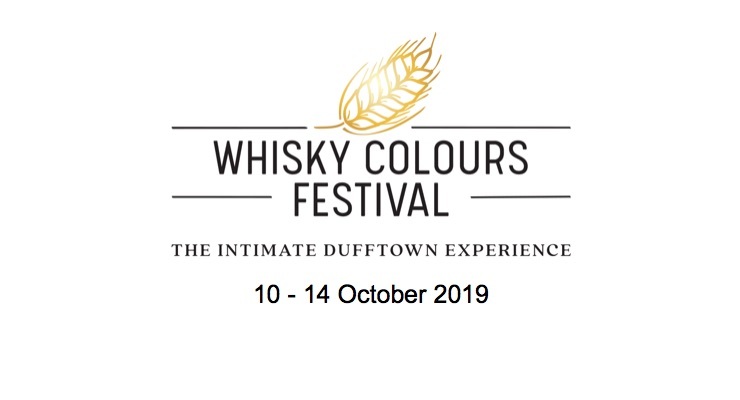 The festival will bring taste to life in the Cooperage, where a street artist will paint the personal tasting notes of attendees live on the walls of the distillery while they sample a dram from Jura’s range, resulting in a continuously evolving mural of flavour. An experiential dining session, inspired by the sweet and smoky sides of Jura’s whiskies, will be hosted by Dram & Smoke and fans can also enjoy a specially brewed bottle of craft beer from Drygate Brewing Co., which has been created to pair with the limited edition Jura Tastival whisky. Unique tasting sessions from the rarest casks in Jura’s warehouse will take place with Master Distiller, Richard Paterson, and a special distillery tour and tasting will see Jura Master Distiller, Willie Tait and Jura Distillery Manager, Willie Cochrane relay their stories about the passion and dedication it takes to craft the Jura range. Ticketed sessions are limited and range from £10-45, with complimentary distillery tours and access to the Dramming Bar on both days. Tickets are available to purchase now! Jura is an island nestled off the West Coast of Scotland. 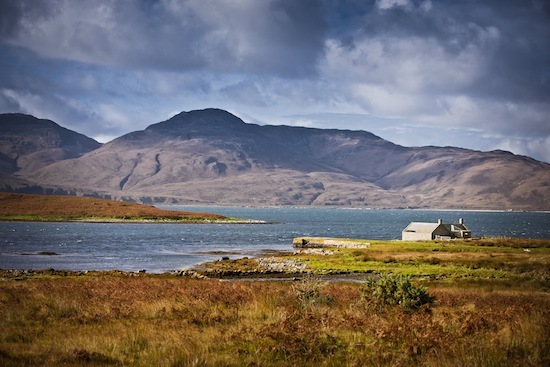 With only one road, one pub, one distillery and 200 people, Jura is as beautiful as it is remote. The distillery was established in 1810 and reborn in 1963 to revive the community. Inspired by our history and our island home, we create single malt with a true passion for the craft of whisky making. Join Jura Ambassador Kieran Cusker and the guys from experiential pop-up eatery, Dram & Smoke, to tuck into a whisky and food taster menu that is inspired by the sweet and smoky sides of Jura. Learn which flavours perfectly complement Jura whiskies and find out how to smoke your own food, in this shared tasting experience. Ever wondered what inspires a Master Distiller to create such distinctive maturation processes and finishes? In this unique tasting session, Richard Paterson sniffs out a very special selection of our rare and vintage whiskies from the Jura warehouse, as well as sharing his passion for fine wines and sherry. Jura meets Oktoberfest in this beer and whisky tasting session with Ambassador, Sam Amfo-Okoampah. He will introduce you to the new Jura Tastival 2015 whisky which will be matched with an exceptional craft beer created especially for the event by Glasgow-based craft brewery, Drygate. At this session you will have the rare opportunity to try Jura Brooklyn, an exclusive bottling for Jura’s friends in the US, as well as Jura Origin which will be both paired with craft beers from Williams Bros.
Join Jura Global Brand Ambassador Willie Tait and Jura Distillery Manager Willie Cochrane for a unique tour of the Jura Distillery and a dram Jura 21 Years Old and the recently released Jura 1984 Vintage. With over 79 years of experience between them, the Willie’s will share their passion and the craftsmanship that goes into creating Jura whiskies. Cruise with Captain Nicol and our Jura Ambassador, into the open sea for a tasting of Jura Turas-Mara. You will experience a sensory journey out at sea to enjoy this dram the way it was meant to be – with the wind and sea spray in your face. 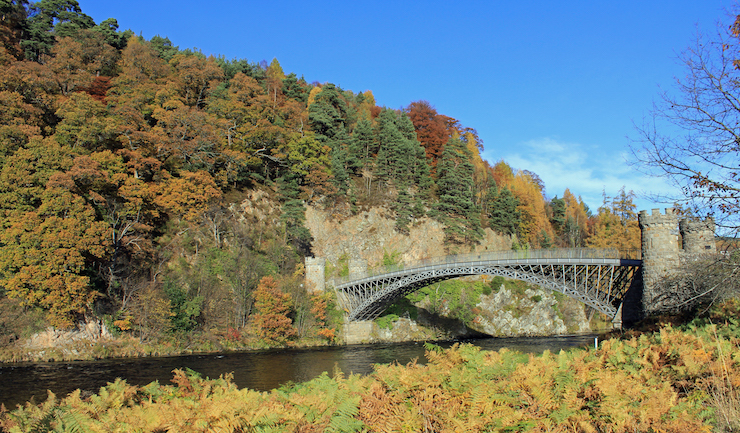 The Cheshire Whisky Event 2014 – Tickets Available Now! The 5th Annual Cheshire Whisky Event is the whisky tasting and sampling event of the year and will be taking place on Monday May 5th 2014 at Willington Hall, Cheshire. Willington Hall is justly famous for its unrivalled views across the Cheshire countryside and magnificent sunsets behind the Welsh mountains. 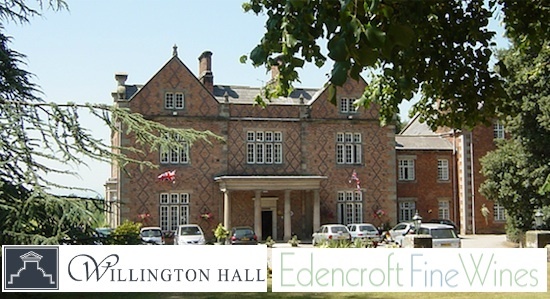 Willington Hall stands in 17 acres of award winning formal gardens and parklands. The Hall makes a perfect setting for the Cheshire Whisky Event which appeals to both the enthusiast and the novice alike. The event aims to provide the ultimate whisky experience with expert advice on hand and the opportunity to learn about the whisky basics. In short, there is something for all! The Cheshire Whisky Event gives you the unique opportunity to sample some of the greatest whiskies in the world and get a great chance to mingle with whisky producers, distillers and marketers. 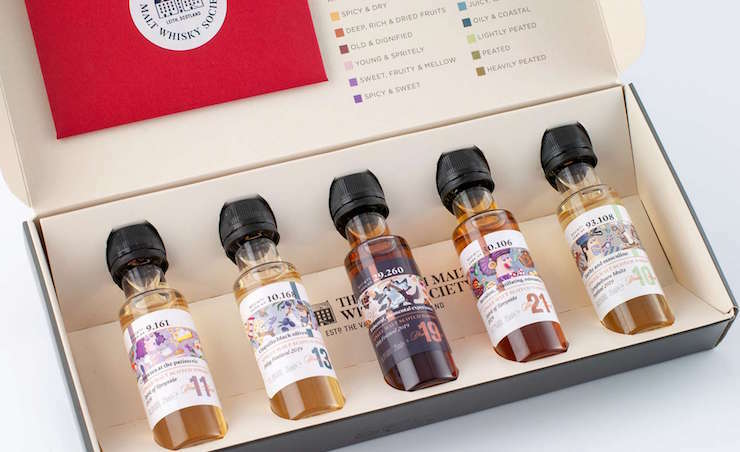 EXHIBITORS: Each year The Cheshire Whisky Event brings a different balance of exhibitors, however, one thing that is guaranteed is a selection of the greatest whiskies in the world! MASTER CLASSES: These tutored tastings provide a unique insight into the world of whisky and a fantastic chance to ask all those hidden questions. You have up to an hour of intense time learning more about your favourite whiskies. TASTINGS: It’s all about the taste! 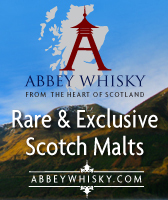 And at the 2014 event you will have a un-rivalled opportunity to taste and discover great whiskies. From the classic ranges you may have sampled before to rare and exclusive bottling’s. Exhibitors are always on hand to talk (and drink) you through their range whiskies providing invaluable knowledge and experience. If you’re new to whisky or a seasoned expert, there is something for everyone to try at The Cheshire Whisky Event. ADMISSION PRICE: £25.00 per person (tickets available from this link), this includes all samples and admission to one Master Class. Edencroft Fine Wines Celebrates Ardbog Day! June 1 is Ardbog Day! Here’s a quick message from Mark at Edencrofts regarding Ardbeg Day 2013 which is going to known as Ardbog Day! 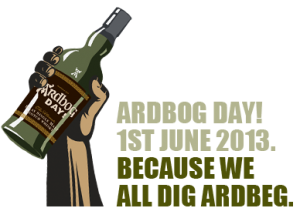 We know how keen members will be to bury their nose in a glass of Ardbog – so make sure you keep 1st June free and come along to Edencroft Fine Wines, where you could enjoy a free dram of Ardbog, the chance to buy a bottle and a shindig with your fellow esteemed aficionados. After all, we all dig Ardbeg! Ardbog Day is a celebration of the peaty bogs of Islay, from whence the peatiness in every drop of Ardbeg hails. The theme this year is archaeology and Ardbog Day will consist of a series of ‘Shindigs’ at various ‘sites of ardbogological interest’! 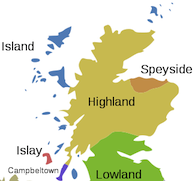 These include Ardbeg Embassies and of course the Distillery on Islay. 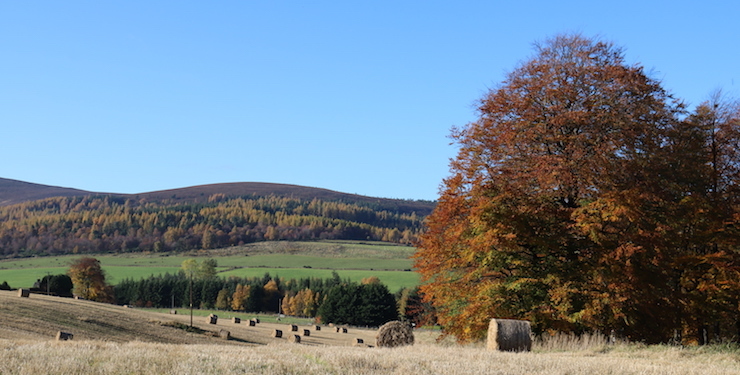 If you would like to visit Edencrofts on June 1st and taste ARDBOG, could you email Edencrofts on sales@edencroft.co.uk so they can make sure they have a sample for you? For more information about Ardbog Day, check out Edencrofts blog. 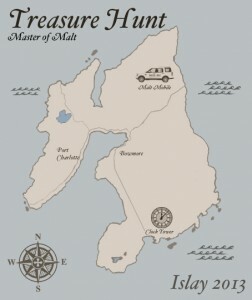 Master Of Malt Treasure Hunt at the 2013 Islay Whisky Festival! 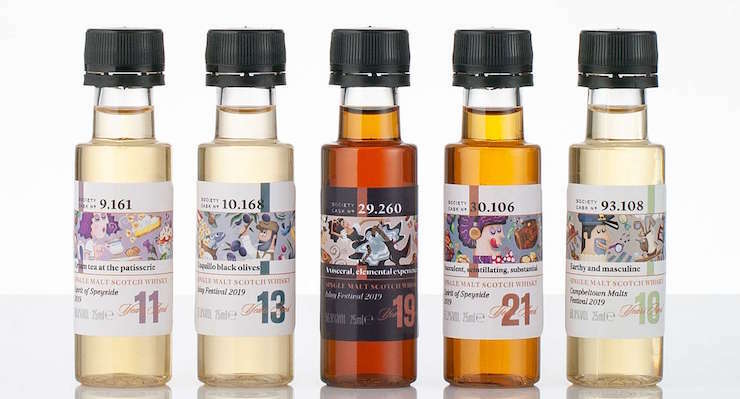 Master of Malt is heading to Islay to celebrate Feis Ile 2013 and they have 3 new competitions and a new release of Single Malt Scotch Whisky! A crack (or cracked, depends on the night before!) team of whisky enthusiasts will descend on Islay in May and to commemorate their third annual visit to the Islay Festival, Master of Malt will release a new expression from That Boutique-y Whisky Company, a Caol Ila. During their 9-day stay on Islay, the Master of Malt team will be running a number of different competitions, promotions, and giveaways on the island from 24 May – 2 June 2013. 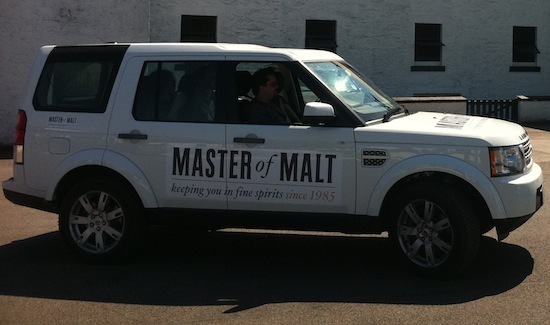 The Master of Malt team will be handing out prizes including drams of the newly-released Caol Ila from That Boutique-y Whisky Company, limited edition t-shirts, and other Islay-exclusive treats to anyone on Islay who spots the infamous Malt Mobile during the 2013 Feis Ile. The Malt Mobile be travelling all over the island and to each distillery open day, so finding the Master of Malt Team in the Malt Mobile is as simple as being on Islay from 24th of May through the 2nd of June 2013, and waving your arms wildly when you see the Malt Mobile drive by, or accosting the Malt Mobile in the car park! Each “flagger” will be handsomely rewarded for their efforts. Our little dog “Peaty” is bold and feisty; he loves to go on adventures around whisky distilleries, but he’s often so distracted by all the goings-on that he forgets to return to us! 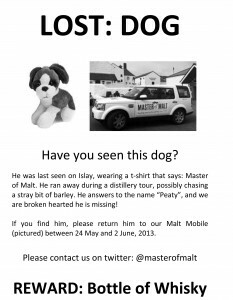 If you find him (you’ll spot him because he’s a soft-toy dog dressed in a fetching Master of Malt t-shirt), at any of the distilleries on Islay and return him to the Master of Malt team, they’ll give you a full, 50cl bottle of Caol Ila whisky from That Boutique-y Whisky Company as a reward. If you are very kind to Peaty, they may even let you become his new owner. Word is that Dr E. Brown from Hill Valley sent out 12 messages in bottles that have washed ashore on the beaches of Islay. Each of the 12 bottles contains a secret message sent on November 5, 1955 that only the finder of the bottle can discover. Just where these bottles are located on Islay are a closely guarded secret. But a map with the locations of the 12 bottles will be released at precisely 10:04 PM on the 24th of May, 2013. On each subsequent day, photographs of each bottle ‘in situ’ will be posted on Twitter as clues to where treasure hunters can find the bottles. Those who find the hidden bottles will receive secret instructions and face a series of challenges that they must overcome to help Doc Brown get “back in time”. Each individual who finds a beached bottle with the secret message and presents it to the Master of Malt crew will receive a full bottle of the new Caol Ila bottling from That Boutique-y Whisky Company. The finders will also automatically have a chance to win the grand prize. The winner of the Islay Treasure Hunt competition who successfully completes all the challenges will be immortalised on the label of the next release from That Boutique-y Whisky Company: a Single Malt Scotch Whisky from Laphroaig. The Master of Malt team will attend the Islay Festival from 24 May – 2 June 2013, during which these three competitions will run concurrently. Master of Malt will also attend each distillery day during the festival where they will reveal further surprises and activities to take place exclusively on Islay at that time. Last Few Tickets Left! Cheshire Whisky Event 2013 Featuring Jim Murray! The 4th Annual Cheshire Whisky Event is the whisky tasting and sampling event of the year, taking place on Monday May 6th 2013 at Willington Hall, Cheshire. Willington Hall is famous for its unrivalled views across the Cheshire countryside and magnificent sunsets behind the Welsh mountains, Willington Hall stands in 17 acres of award winning formal gardens and parklands. The Cheshire Whisky Event appeals to both the enthusiast and the novice alike to provide the ultimate whisky experience. With expert advice on hand and the opportunity to learn about the whisky basics, there is something for all! The Cheshire Whisky Event gives you the unique opportunity to sample over 100 of the greatest whiskies in the world, whilst mingling with the producers, distillers and marketers and all under one roof. In addition to learning about the world of whisky, you have the opportunity to sample rare and sought after whiskies and meet the stars of the industry. EXHIBITORS: The Cheshire Whisky Event brings a different balance of exhibitors, however, one thing we do guarantee is a selection of the greatest whiskies in the world. JIM MURRAY MASTER CLASS: Tutored tastings provide a unique insight into the world of whisky and this is your chance to ask all the questions you always wanted to! 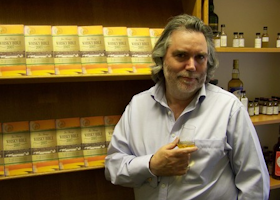 This years Master Class is presented by the world renowned whisky journalist Jim Murray. Internationally recognised as a leading commentator on all the world’s whiskies, Jim Murray is frequently asked to conduct tutored tastings. Undertaken in a style which reflects Jim’s solidly professional approach, they are well organised, informative, witty and sometimes controversial but always full of passion, honesty and fun. Jim Murray has never been afraid to express his views and his tasting events are full of fascinating facts, flavours and bottlings. He has an encyclopaedic knowledge of whisky, gained from having travelled to hundreds of distilleries all over the globe. His classes delight audiences with an interactive tasting experience enjoyed by all who attend, involving the audience as often as possible. These are events which embrace the novice and connoisseur alike and leave out the usual marketing mantra and propaganda. Jim Murray has 19 years experience of holding tutored whisky tastings and in that time he has travelled the world giving tasting events on every continent. He is equally at home fronting intimate parties, Whisky and Gentlemen’s Clubs, large venue corporate gatherings and educational programmes for sales and marketing teams. He is also in demand for television, radio and web-based tastings attracting global audiences. 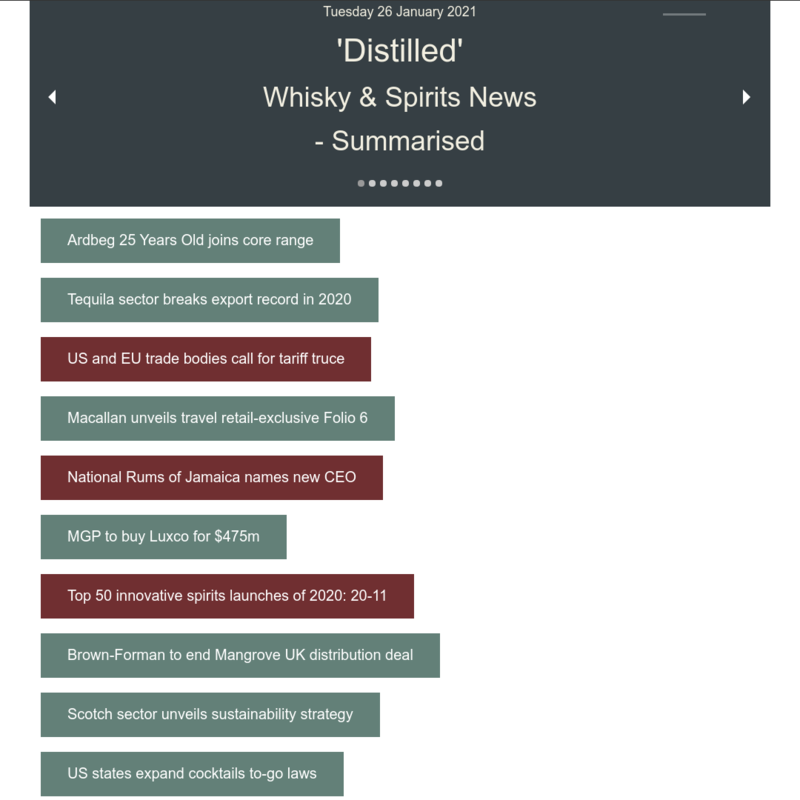 TASTINGS: Taste and discover great whiskies, from the classic ranges you may have sampled before to rare and exclusive bottling’s. Exhibitors are always on hand to talk (and drink) you through their range whiskies providing invaluable knowledge and experience. ADMISSION PRICE: £25.00 per person (tickets available from this link), this includes all samples and admission to the Master Class presented by Jim Murray. Cheshire Whisky Event 2013 Featuring Jim Murray! 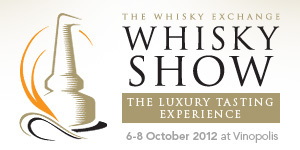 The Whisky Exchange Whisky Show 2012 has announced a new batch of exhibitors. The prestigous food and whisky tasting experience has added: Ardbeg and Glenmorangie; Whyte & Mackay with their blended whisky as well as Isle of Jura and Dalmore; Springbank, also with Longrow and Hazelburn; Grant’s with Glenfiddich and Balvenie; The Scotch Malt Whisky Society; and Compass Box. The show is again taking place at Vinopolis, London’s premium wine and spirit destination, the Show will run across the weekend of 6th-7th October 2012 from 12pm-6pm.